IT seems simple enough from an outsider’s point of view. It’s a criminal offence for a teacher to have a sexual relationship with a pupil even if they are over the age of consent. People working in places like residential children’s home, young offenders centres and hospitals are also legally barred from having a physical relationship with older teenagers in their care. But while these protections have been in place for the past 10 years it’s still perfectly legal for sports coaches to get involved with young athletes of the same age. The NSPCC in Northern Ireland saw the anomaly as a gap in the law which needed to be closed and hoped to get the loophole closed through a simple tweak to existing legislation. However, what unfolded between 2008 and the end of 2010 is evidence that it’s never that straightforward getting the obvious done in Northern Ireland. When the sexual offences legislation was enacted in Northern Ireland in 2008, it allowed for the possible extension of the abuse of trust provisions as they existed at that time by Order of the Secretary of State to include other groups of people. During a consultation process in 2008, the NSPCC asked that sports coaches be included in the order’s abuse of trust provisions. A cross-party ad hoc committee of the Northern Ireland Assembly set up to review the sexual offences legislation going through Westminster also recommended this to the Secretary of State Shaun Woodward. Mr Woodward considered the politicians’ consideration and then passed it on to be considered by the Minister of State with responsibility for criminal justice, Paul Goggins. The MLAs did not have the power to change the legislation themselves as, at that time, the NIO was responsible for sexual offences legislation and sexual offences policy in Northern Ireland. In March 2009 Mr Goggins wrote to the then Culture, Arts and Leisure Minister Gregory Campbell to get his view on the subject and asked him to undertake a consultation with sports bodies. Mr Campbell tasked his officials to the case. To enable them “to prepare an effective and informed consultation”, officials met their counterparts in the NIO (to gain a better understanding of the legislation and its abuse of trust provisions and to learn about the representatives it had received on the subject), contacted counterparts in the Department for Culture, Media and Sport in London (to find out about its consultation and the reason why it was eventually decided not to extend the provision to coaches in GB), took advice from Sport NI and, on its advice, agreed to work through the Northern Ireland Sports Forum (the umbrella body for sports governing bodies in Northern Ireland). Then, more than ten months after agreeing to carry out the consultation, DCAL hosted a “consultation evening” on the subject on January 26th, 2010. On the invitation list were representatives of various sports – who’d already been consulted. Sports Forum and Sport NI representatives were joined by over 30 representatives from 21 sports governing bodies to take part in the single session. Off the invitation list were parents, young people involved in sport and other children’s organisations. The NSPCC, the agency who’d built the case for change, was there but was invited only to observe, not participate. There was no formal written consultation process. The sports bodies were given a list of questions, split into groups, asked to discuss the questions and report on their answers. DCAL pulled this information together and circulated it to Sport NI and the NI Sports Forum to ask if it was an adequate reflection of what had been given that evening. They said it was. This letter was circulated to all of the governing bodies that attended. Colin Watson, Head of Sport at DCAL, told the DCAL committee on May 27th 2010 that sports bodies had been willing, in principle, to support an extension of abuse of trust provisions to sports coaches but that they remained unconvinced of the need for extension and were more impressed by the decision not to extend the legislation in England. Mr Watson said that the department concluded that, on the basis of the proposals that had been put to the NIO, “sports bodies are not in favour of including sports coaches in the provisions”. 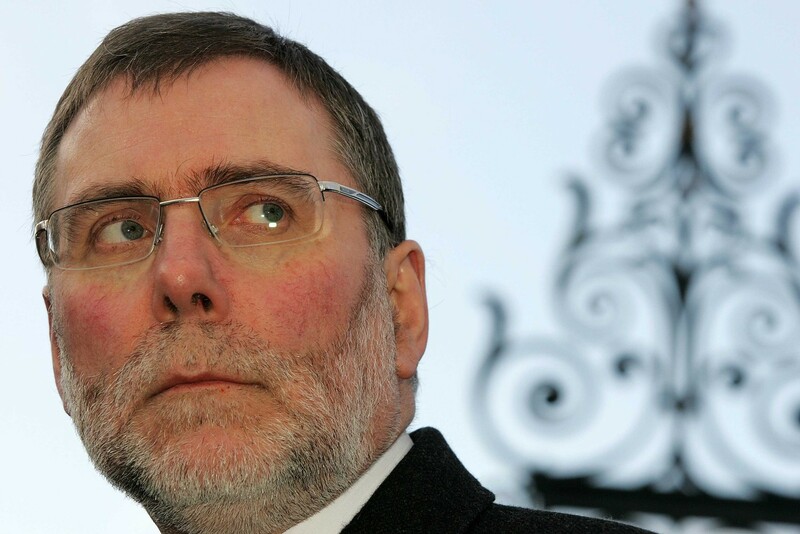 From March 2010 a new minister headed up the Department for Culture, Arts and Leisure – Nelson McCausland. It was he who wrote to Minister Goggins at the NIO six weeks after the consultation evening to report the outcome of the consultation process. Paul Goggins replied to Mr McCausland’s report by saying that the outcome would play a key part in further consideration of whether to extend the definitions of positions of trust and that the matter would now be a matter for the incoming Minister of Justice to consider. Then a new devolved Department of Justice came into being on April 12th 2010. It had responsibility for criminal law and was headed up by another minister, David Ford. Everything on Minister Goggin’s desk transferred over to Minister Ford’s desk, including the Abuse of Trust consultation. The DCAL consultation report sat with Minister Ford from April until December 2010. Almost eight months after taking on his ministerial role, Minister Ford wrote to Minister McCausland and told him he had looked at his report of the consultation with the sports bodies. His conclusion was that he would not amend the current order. Instead Mr Ford said that he believed that “administrative actions relating to child protection across all the areas within the DCAL remit” were the sensible way forward. So, the issue moved from Mr Ford’s desk back to Mr McCausland’s. After three years of consideration, the NSPCC must now instead focus its attention on improving administration measures and awareness-raising of child protection within sport. Much good work has already been done on this. Meanwhile, thanks to our politicians’ considered consideration of the issue, middle aged coaches are still legally permitted to have consensual sexual relationships with older teenagers in their care. It’s still up to sports organisations to decide to take action if they can prove coaches have acted against the sport’s code of conduct. However, the NSPCC hasn’t given up on its battle for legislative change to protect sixteen and 17-year-olds from predatory coaches. Watch this space.